Has it come to this? Has the UK’s cultural status sunk so low? Clare Balding is now the most fascinating person in Britain. 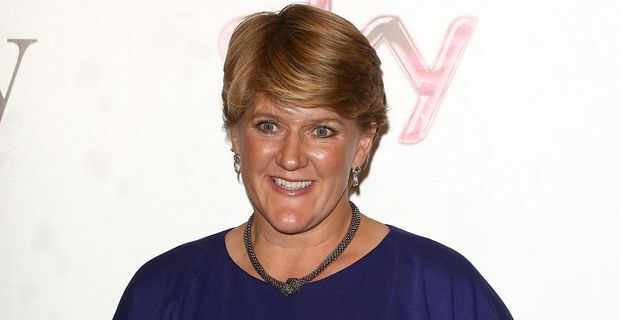 Yes that Clare Balding, the chummy, personable but rather dull presenter of lesser Olympic sports, Channel 4 racing and an execrable Saturday evening quiz show. The "honour" becomes somewhat less impressive when we learn that it was bestowed by The Tatler, posh journal of choice for the inbred horsey set and those debs who managed to escape with a modicum of literacy from their Swiss finishing schools. Clare, who grew up on chatting terms with the Queen, is one of their own, as her very popular autobiography demonstrated. The survey was conducted by the magazine checking the names most searched for on the Tatler list of those it deems important personages. Balding finished immediately ahead of royal in-law Pippa Middleton, billionaire Roman Abramovich, the Queen and a host of such vital cultural powerhouses as Prince Harry, Emma Watson and Kate Middleton’s dog Lupo. Wealth and breeding were the main defining characteristics of those who made it onto the list, although Balding’s partner, the broadcaster Alice Arnold, finished a creditable 14th, so it should be champagne all round at the Balding residence. The magazine may be confusing "fascination" with prurience. Readers may have been keen to learn about Britain’s best-loved lesbian (somebody break the news gently to Sandi Toksvig), and subsequently rather disappointed by Balding’s very conventional domesticity. The Tatler enjoyed a little flurry of renewed interest in 2012, a year marked by an extraordinary amount of deference highlighted in the bizarre Jubilee celebrations and inordinate interest in the Royal baby. The instructions to their readership to accompany the list make allowances for low IQs. "Study very closely indeed," they read. "You need to know who they are."